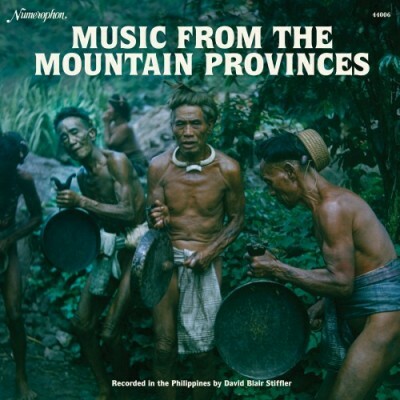 In the grand tradition of the ethnographic recordings that made up the majority of Folkways’ vast and significant catalog comes Music from the Mountain Provinces. By the mid-1980s, David Blair Stiffler was already a most-decorated recordist, with eight Folkways LPs under his belt. These are among the most obscure documents in the entire Folkways catalog. Although the works of Jose Maceda and Nicole Revel heavily documented much of the Philippines' countryside inhabitants with a thorough and sober effort protracted over the decades, Stiffler brought his own panache into the equation, capturing gorgeous and revelatory moments from some of the archipelago's least visited regions. Even without the harrowing tale of himself and his crew being taken hostage, contained within is a rare aural experience. These masters, originally intended for release on Folkways, were shelved when Stiffler returned home to news of founder Moses Asch’s death.